Devontae and his Big Brother Bryant have built a strong bond. They share many traditions they look forward to each year, including attending the Holiday Folk Fair and the Milwaukee Auto Show. They also enjoy touring museums, participating in events facilitated by Big Brothers Big Sisters, and just trying new things. Devontae is a good student. Past summer jobs include tutoring children at the Boys and Girls Club. Bryant encourages Devontae to stay up on his studies, and they have been discussing college and career choices. Devontae and Bryant truly enjoy their time together. In a few years, Devontae hopes to attend the University of Wisconsin-Milwaukee, where he would like to study journalism. 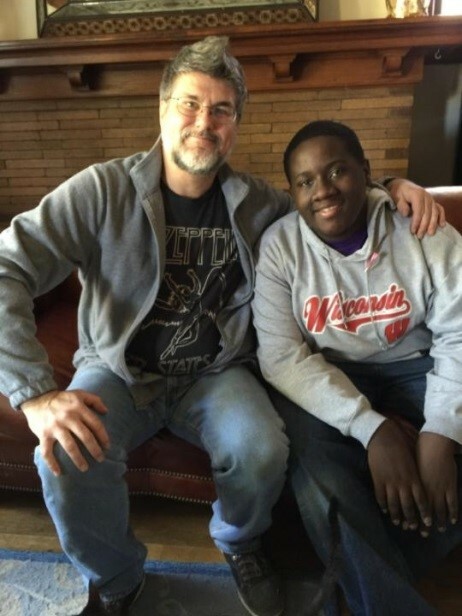 With Bryant’s continuing support and guidance, Devontae is well on his way to achieving a bright future. © 2019 BBBS of Metro Milwaukee.